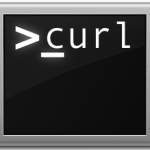 Using curl and pbcopy, we can quickly grab and copy HTML and CSS code from any URL via the command line. This should be a helpful tip for the web developers out there, but for anyone looking to check the source of a web page through this can be an invaluable little trick. Of course you’ll want to replace the sample URL with your own. When the command has finished running, the HTML will now be in your clipboard (thanks to pbcopy) and ready for you to paste anywhere else. We’ve covered pbcopy & pbpaste a while ago, they’re just command line interfaces for the Mac OS X clipboard but combined with other scripts or utilities can be quite powerful. If you want to go a step further, you can also quickly mirror a website locally using wget or backup through FTP with wget. This works in OS X, though it’s not directly compatible with linux because of the pbcopy command.